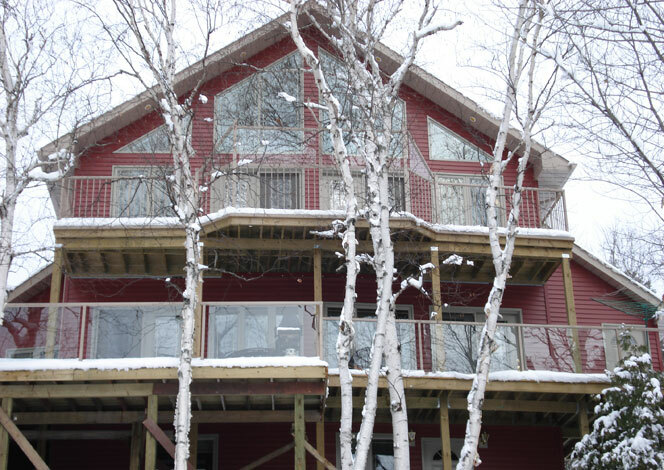 At NORDECK we have over 25 years experience in residential and commercial construction, specializing in deck building and design. We bring together cutting-edge and premium decking products with advanced, engineered railing systems allowing us to offer some of the best warranties in the business. Let’s do it right the first time. 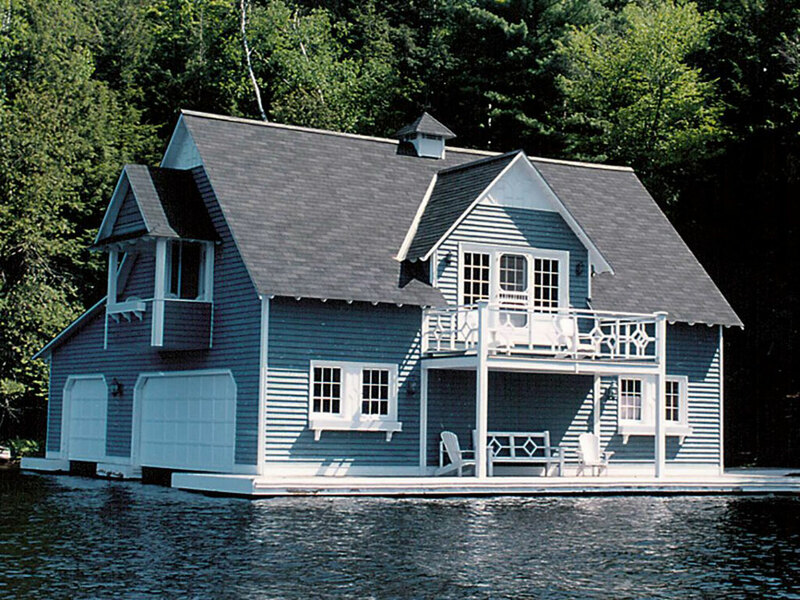 We can add a deck to your boathouse, home or cottage. Whether it be a new build, deck restoration, or complete overhaul, NORDECK is highly experienced with a variety of decking materials and options, including a selection of maintenance free alternatives. Duradek waterproof vinyl products are the ideal solution for an attractive and resilient waterproof solution that works. Duradek is the original vinyl decking product since 1974 and all Duradek dealers/installers are formally certified and trained. 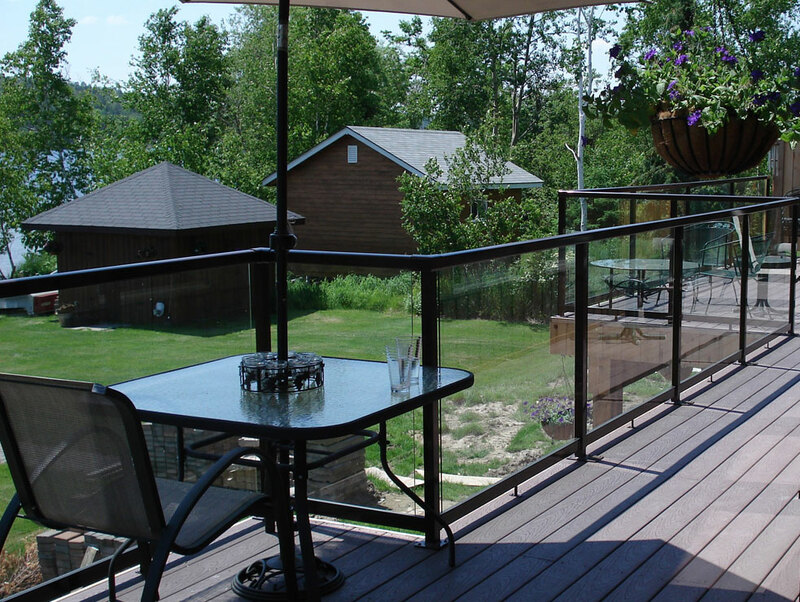 An engineered railing provides safety, compliments the look of your deck and maintenance-free. 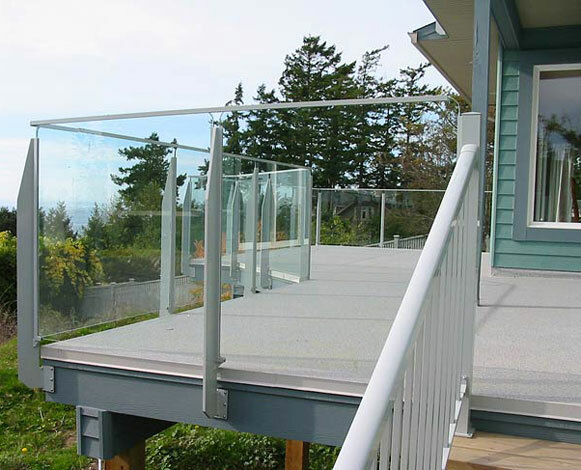 Add safety and visual appeal to your deck with an engineered, maintenance-free extruded aluminum railing. Tempered glass, picket style, classic wood, or a combination. With an unlimited choice of custom colours and designs, we offer a meticulous, polished look with attention to every detail. Learn more. We are confident that our work ethic, honest and straight forward approach is what you’re looking for. No cutting corners with strict attention to every detail and doing the job right. We consider all of your requirements and strive to exceed your expectations. We then follow up after the job is complete to ensure you are absolutely satisfied. Images on this site are of projects I personally completed as an independent contractor using a variety of materials, to include materials from suppliers displayed on this site, and are a part of my personal portfolio. Other images have been provided by suppliers with their permission in an effort to demonstrate available options. Please feel free to contact us if you have any questions about these images. NORDECK can build the deck of your dreams. We offer many railing styles and designs.